Northern Beaches tick eradication and removal services. Why ticks are classified as a pest? Ticks are parasites that feed on the blood of humans and animals. There are more than 800 species of ticks around the world, with 70 found in Australia and 16 species have been reported as feeding on humans. 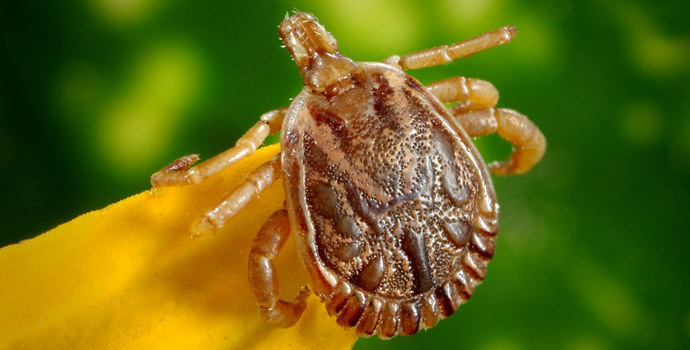 The most relevant tick in Australia is the Paralysis Tick, Ixodes holocyclus, and over 95% of tick bites in Eastern Australia are due to this species with Sydney’s northern beaches being one of the most at risk areas in the whole of Australia. A vast majority tick-borne illnesses are due to this species, such as tick paralysis, tick Typhus, allergic reactions and potentially lyme-like disease. How do ticks find their way onto your property? Ticks feed on any warm-blooded vertebrate, including Birds, possums, rats, dogs, bandicoots, kangaroos, wallabies, rabbits, foxes and bush turkeys. These animals can then spread the ticks to other areas surrounding such as your property/gardens. We treat all foliage areas and grass areas around your garden suspected of harboring ticks with a petrol powered pump using a synthetic pyrethroid, this is the most thoroughly effective tick eradication treatment available. As this method will kill and prevent ticks it is recommended that you should have at least 2 treatments a year for total control from ticks. The products we use are less toxic than many ordinary household products being fully biodegradable and it is resisted by the Australian Pesticides and Veterinary Medicine Authority (APVMA). When in the garden wear long sleeves, tuck you shirt into pants, wear long pants tucked into socks and a hat. All items should be light coloured to improve visibility of ticks crawling on clothing. Suppression of warm- blooded vertebrates which act as a host for ticks, such as bandicoots, prevents their entry into your yard. This can be done by trapping and relocation, or if this is not possible, the elimination of their main food source, curl grubs, in your lawn so bandicoots are no longer attracted to your property. Removal of excess vegetation around your property and elimination of moist areas. Treating all pests with a registered tick control product from your vet or pet store. 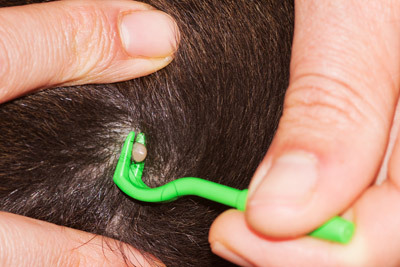 You must NOT attempt to remove it with tweezers as the tick can become aggravated causing it to inject more saliva, which can cause allergic reactions and/or potential tick diseases. You must attempt to kill the tick on the top by using either a pyrethroid aerosol or dabbing with a permethrin cream.Wait until the tick has died, which can take from 1 to 3 hours, then slowly remove the tick from your skin using tweezers.